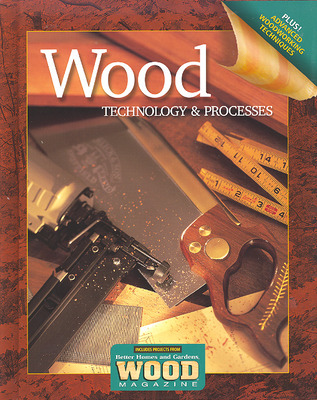 Wood Technology & Processes is a comprehensive woodworking text for high school that introduces basic and advanced woodworking operations with clear instructions and illustrations. Besides the Woodworker’s Handbook, and a four-color presentation of the tools and materials of the woodworker, this edition has a new section on Advanced Woodworking Techniques, including clamping techniques, router table techniques, face framing, use of the miniature lathe, and step-by-step instructions on how to make various kinds of joints. New projects with detailed step-by-step procedures have been added to the Better Homes and Gardens® WOOD Magazine® Projects at the back of the book.